The Low Pressure area over Northwest Uttar Pradesh & neighborhood with the associated cyclonic circulation extending up to 5.8 km above mean sea level has become less marked. The Axis of Monsoon trough at mean sea level now passes through Amritsar, Ambala, Bareilly, Sultanpur, Chapra, Dumka, Asansol, Kolkata and thence Southeastwards to Eastcentral Bay of Bengal. There is an Upper Air Cyclonic Circulation over Bihar & neighborhood and extends up to 5.8 km above mean sea level. Under its influence a Low Pressure area is likely to form over Bihar & vicinity during next 24 hours. South Gujarat dry on some days and could get scattered showers/light rain and isolated medium rain on a few days of the forecast period. The total rainfall during the period will be below normal for the area. 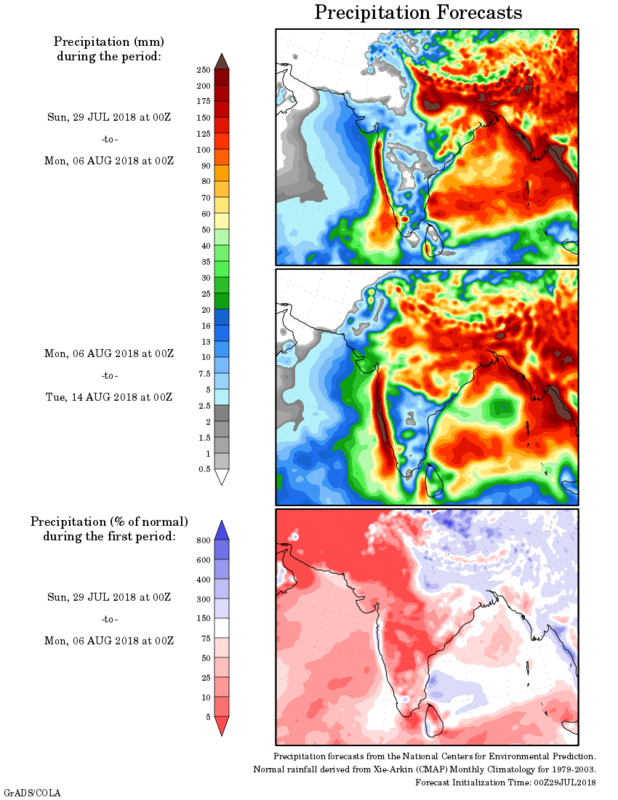 Saurashtra, Kutch & Rest of Gujarat mainly dry on some days and scattered showers/light rain on a few days of the forecast period, mainly over the Coastal Districts of Saurashtra and M.P./Gujarat & Rajasthan/Gujarat border areas. The forecast period rainfall is expected to be much below normal. Windy and Cloudy weather conditions expected over Saurashtra, Kutch on most days with sunshine few times on few day. Windy conditions for Kutch and Coastal Saurashtra on most days. યુપી વાળુ લો પ્રેસર નબળું પડ્યું. બિહાર પર એક યુએસી 5.8 કિમિ ની ઊંચાઈ સુધી છે જે ટૂંક ટાઈમ માં લો પ્રેસર બનશે. ચોમાસુ ધરી અમૃતસર, અંબાલા, સુલતાનપુર, ડુમકા , અસાનસોલ, કોલકાત્તા અને ત્યાંથી મધ્ય પૂર્વ બંગાળ ની ખાડી સુધી લંબાય છે. હજુ આવતું અઠવાડિયું ચોમાસુ નિષ્ક્રિય રહેશે. આગાહી સમય માં નોંધપાત્ર વરસાદ ની શક્યતા નથી. દક્ષિણ ગુજરાત અમૂક દિવસે સૂકું અને અમૂક દિવસે છુટા છવાયા ઝાપટા/હળવો વરસાદ. એકલ દોકલ મધ્યમ વરસાદ ની શક્યતા. કુલ વરસાદ નોર્મલ થી નીચો રહેશે. સૌરાષ્ટ્ર, કચ્છ અને બાકી ગુજરાત : અમૂક દિવસે સૂકું અને અમૂક દિવસે છુટા છવાયા ઝાપટા/હળવો વરસાદ જેમાં શક્યતા મુખ્યત્વે સૌરાષ્ટ્ર દરિયા પટ્ટી માં તેમજ એમપી/ગુજરાત બોર્ડર અને રાજસ્થાન/ગુજરાત બોર્ડર વિસ્તાર માં. આગાહી સમય માં નોર્મલ વરસાદ થી ઘણી નીચી માત્રા રહેશે. પવન નું જોર કચ્છ તેમજ દરિયા પટ્ટી માં વધુ રહેશે. વાદળ છાયું વાતાવરણ રહેશે, કોઈ કોઈ દિવસ સૂર્ય ડોકિયાં કરશે. 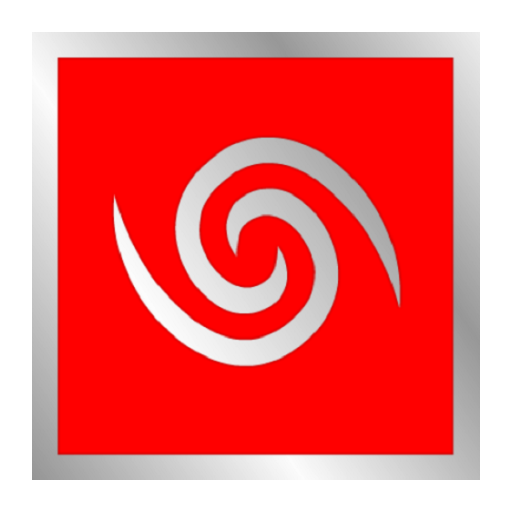 www.gujaratweather.com website has crossed one Million pageviews in last 30 days from 24th June 2018 to 23rd July 2018. About 4 to 5 Thousand visitors per day with a total of 27673 visitors during the last 30 days.